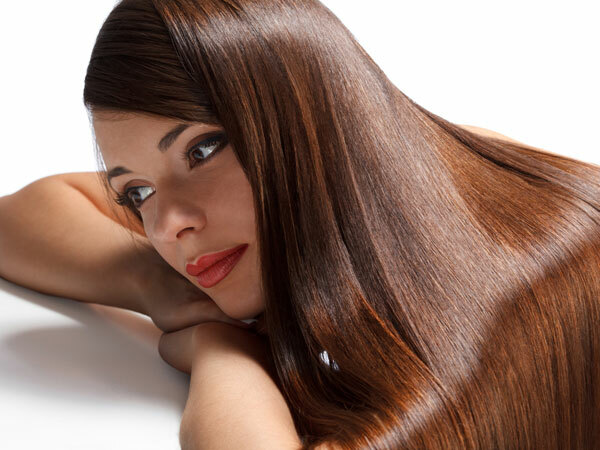 It is wish and dream of each and every woman to have very long, beautiful and healthy hairs. Even in current modern and very busy lifestyle, majority of woman prefers to have such type of hairs. Having long, beautiful and healthy hairs is a God gift but to maintain it in the longer run and full of life, one has to keep the hairs free from dirt, combing and brushing in a very soften way and also when these are not wet, utilising of oil/shampoos/colouring/bleaching/etc. should be of good qualities and without chemicals that damages hairs, utilising of good quality hairs accessories such as clips, pins, ribbons, rubber bands, etc. helps in the long way. Apart from all above, proper sleep, having food that contains proper vitamins and minerals required for body are necessary in maintaining long, beautiful and healthy hairs. Life with lot of stress damages the hairs. Below are the point-wise things to be done and not to be done in maintaining of long, beautiful and healthy hairs and enhance the personality. It is commonly known that prevention is always easier than treating it after damage. It is not necessary to wash the hair at fixed periodical intervals. In fact we should develop the tendency to wash and clean our hair and scalp as and when these are being observed as dirty/oily. Scalp cleaning helps in keeping hairs healthy. Hairs and scalp should be cleaned with filtered water if possible otherwise at least with running tap water. Washing your hair with stored water should be avoided as much as possible. Message of scalp with warm oil is good but overdoing it can impact negatively. Our body system automatically produces oil at scalp level. Hence it is advisable to apply little oil on scalp and emerge your hair up to tips in the oil. Still if you wish to message your scalp with warm oil, be sure that you should clean it within 45 minutes to an hour maximum. Colouring and bleaching hairs regularly is very harmful to hairs, as these contain different type of harmful chemicals that make the hairs fragile, dull and weak. Once in a while, when you can’t avoid it, be these can be done through recognised parlour, irrespective of if it expensive or cheaper bet. Hairs are soft, smooth and gentle. Brushing them in a very harsh manner means you are purposely weaken it and allow them to fall. Irrespective of how much late you are, you should avoid combing your hair harshly at any cost. Hairs accessories such as pins, buckles, ribbons, artificial extension hairs, etc are to be used in a very proper manner so that there should not be any difficulty in removing these things. Normally, these accessories stuck up in hairs while removing, hence damages the hairs as well as scalp. It is advisable to not to tie your hairs (a) very tight (b) for the longer period (c) similar way (d) sleeping time, as these things impacts in growing the hairs. Try to tie and style your hairs in different manner every time to help in growing and your personality as well. At the time of going bed, loosen your hairs and should be flow freely on to the pillow. During the day, try to loosen the hairs for sometime as it gives breath to the roots and make them healthy. Avoid combing your hair when wet. Most of woman comb the hairs when these are wet to make it straight but doing it is definitely harmful. Please note that at the time when hairs are wet, they are at their weakest point resulting in breakage. It is always advisable to dry your hairs naturally. However, in case of urgency, dryer can be used once in a while. Make sure that the leave-in product has something to protect your locks against the heat. However, regular utilisation of dryer is harmful. Once hairs are damaged due to utilisation of dryer, these are beyond repair that is for sure. Eating a healthy diet that contains sufficient vitamins, minerals, nutrients, etc. will help hairs to grow and be healthy. Long term dieting or extreme dieting is harmful to hairs. Consuming alcohol or caffeinated items in excess are also harmful to hairs. Regular and high stress can result in thinning of your hairs. Though, it is not possible for any human being to be free from stress but by doing meditation and trying to keep themselves calm and at ease helps in having the negative impact on overall body in general and hairs in particular. Proper about eight hours, sound and timely sleep can rejuvenate and relax your body. Once the body is rejuvenate and relaxed, it will help in healthy growing hairs. Hairsprays and chemicals are being utilised in styling the hair. These ultimately results in hair thinning. Extra post care is necessary for chemically treated hairs. Try to utilise shampoos and conditioners of reputed manufacturers. Avoid excess utilising of hair care items as they can go on accumulating at scalp preventing growth of hairs.